More than a thousand people flock to Fort Macleod every June for the community’s annual antique show and sale at the Fort Macleod and District Sports Centre. The antique show and sale has developed a strong following among both antique dealers and the buying public, who enjoy the friendly small town atmosphere. 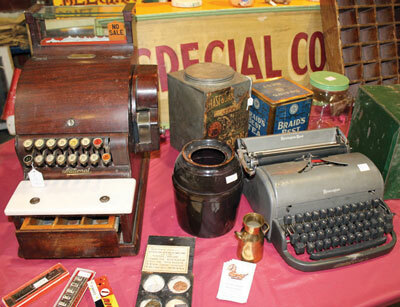 The antique show and sale made its debut in 2002 to rave reviews from dealers and the public. The show and sale attracts antique and collectible dealers from across Alberta, Saskatchewan and British Columbia who rent all 90 tables to exhibit their goods. The Chamber of Commerce arranges for a concession to run throughout the weekend. The 2018 antique show and sale is June 15-16. For information call 403-715-2125.